Like sea shells glistening in the sand. 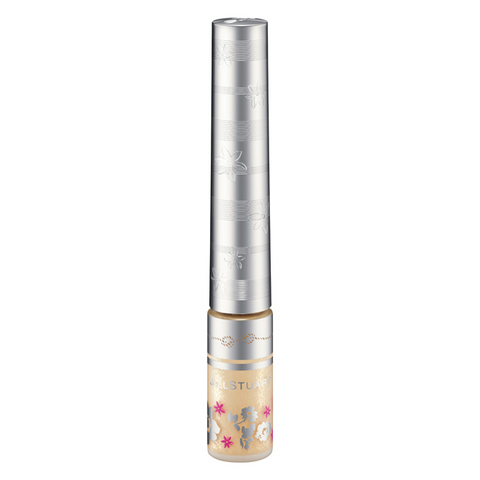 ･Limited edition liquid eyeliner for eyes welling up with color that has gloss like sunlight and luster like mother of pearl. ･Sparkling pearl iridescence with every blink leaving a beautiful wet-look finish. Extra sparkle to the lower eyelid and folds for a sparkly misty eyed finish. ･A fresh touch that feels great going on. ･The keynote bottle, bordering and rope motif decorated with the maritime pattern. ･Like glistening tears on the lower eyelid. ･Spread the eye liner color from the eyelid and folds of the eye with your finger tip. The image of a Romantic Marine World in a box.